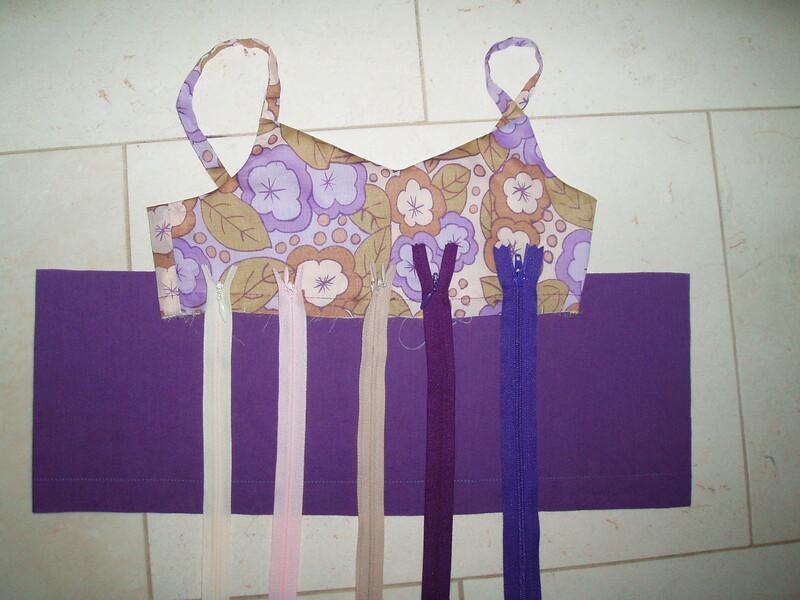 This entry was posted in Crafting for others, Dresses, New Look, Problems, Sewing. Bookmark the permalink. 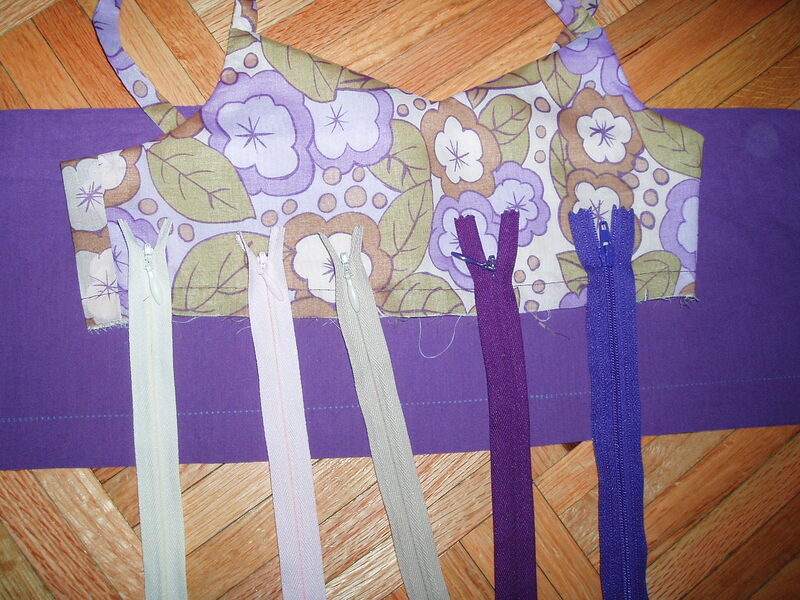 It’s an invisible zipper, so really all you have to deal with is the pull showing, and any of them would work. Depending on the weight of the print fabric on the bodice, you might want to go with one of the light colored ones so you don’t get any show-through. Or you could just interface along the zipper edge like I usually forget to do, which removes the possibility of the zip color showing anyway. If you still want me to commit to a color, I would say that actually ANY of them work for me except the last one, which seems a little bluey. I would go with the second one. It blends the best. I vote for the one in the middle. Not too light, not too dark, it’s juuust right! I think the middle or purple ones would do. As mentioned above me, as they’re invisible zippers only the tag should end up being visible. Except for the last one that looks blue, any of them will do. I like the winey purple one. I think the third of the fourth. I think the one in the middle would suit, especially if it is an invisible zip. You would only see the tag and it matches the lovely beige colour in the fabric quite well. An extremely talented sewist once told me that if you use an invisible zip that’s not quite the right colour you then use nail polish to paint the tag to match the fabric. She did it all the time for bridesmaids dresses. One of the light ones – hard to see the colors for sure but possibly the middle or second from the left. Definitely not the dark ones. Personally, I would go with the beige. How visible is the zipper really going to be? I’d vote pink or beige. 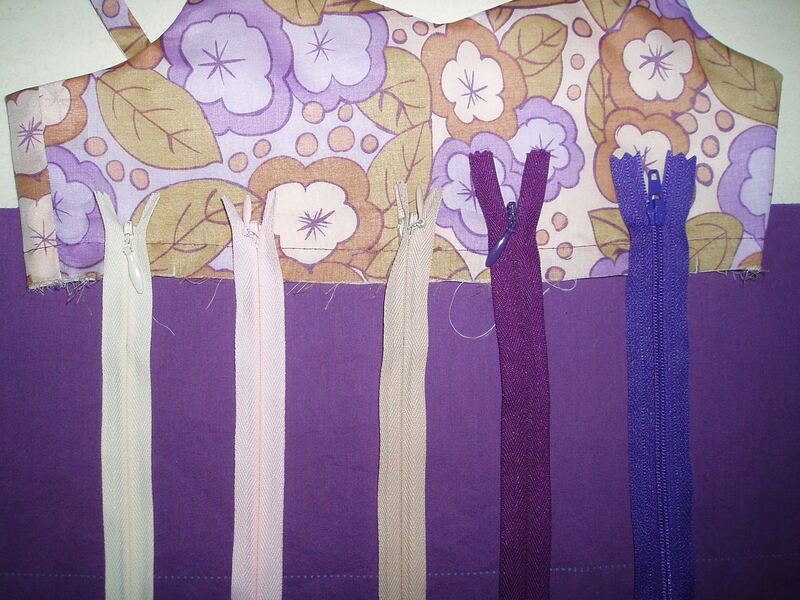 I vote for either the second or third zipper with a preference for the third zipper.